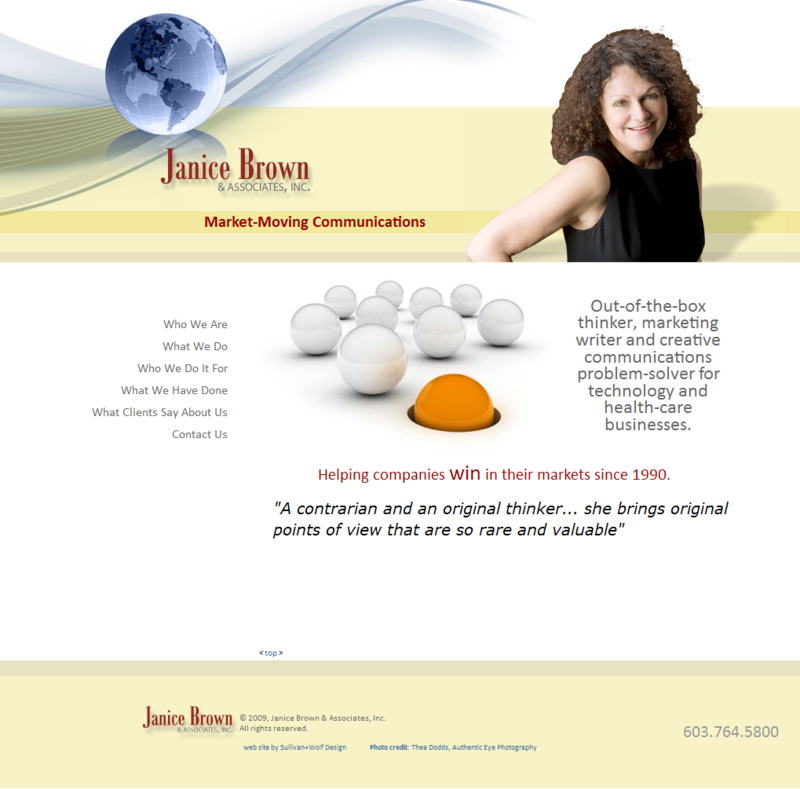 Sullivan+Wolf,LLC launches new website for Janice Brown & Associates. This web site is designed to reflect a nice clean edgy look for them. Built in PHP along with Flash. Logo Type was designed by us.